5th sentence, 74th page: Beyond it were the cells. 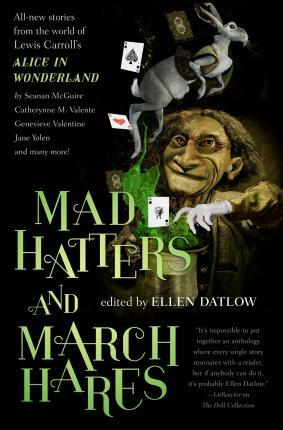 The idea for the Mad Hatter in Alice’s Adventures in Wonderland comes from the idea of mercury poisoning in hatters. So I loved the idea of a short story based around this idea. Especially one that still encompasses the innocence of Alice and the land of Wonderland. Since writing that first paragraph, I have probably spent about thirty minutes trying to think of what to write next. What to say to emphasise the awesomeness of this story. But, everything that I can think of gives away part of the storyline. This story takes you on such an unbelievable adventure that at once feels both modern and old. There is a great number of twists and turns that will leave you on the edge of your seat.